The Child Mind Institute Externship offers work experience for graduate students enrolled in psychology programs. The externships are for students who are in their third year of graduate school. Externs work up to 20 hours a week at the Child Mind Institute in New York. The externship provides students first-hand clinical experience in treating children, adolescents and their families. Their work will include disorders such as ADHD, ODD, anxiety disorders, and other types of behavior and mood disorders. This program is for graduate students only. In January and February of every year, outstanding students are selected to enroll in the program. Students may apply to the program by sending a cover letter along with their application. They may choose one of three externship programs, each one focusing on a specific type of disorder. 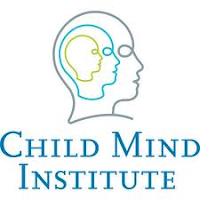 The Child Mind Institute provides clinical care for children and their families, and is dedicated to research focused on finding more effective treatments for psychiatric and learning disorders affecting children and adolescents.